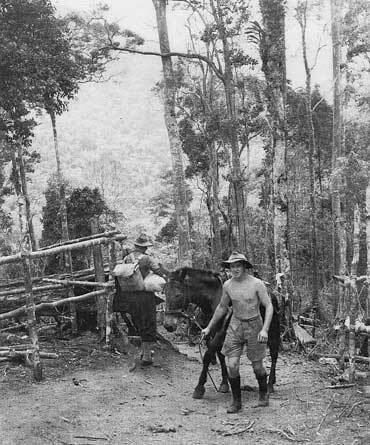 Uberi village was the site of the first staging camp on the Kokoda Track. After leaving Ilolo the Track was fairly easy going for some 5 or 6 kilometres before it plunged down mountain sides through dense forest to the valley of the upper reaches of the Goldie River. The Track then followed the river until it climbed a steep slope to the village of Uberi. As well as a staging post with six or eight native huts where the soldiers could rest and obtain a meal and supplies, Uberi also became the site of a medical staging post established by the 2/6 Field Ambulance and manned by two orderlies. During the withdrawal by weary troops along the Track many were glad of the hot coffee and cake provided by the Salvation Army’s Albert Moore and W (Jock) Inglis, who manned a Red Shield point at Uberi. 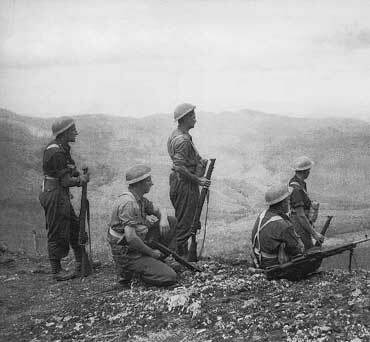 By mid September the Japanese had advanced to Ioribaiwa and the Australians were in defensive positions on Imita Ridge. Two guns of the 14th Field Regiment were brought forward to Owers’ Corner, above Uberi, from which, at extreme range, they could fire on Ioribaiwa. In an effort to maintain artillery support another gun was dismantled and man-handled forward a distance of three kilometres down the steep mountain, across the Goldie River, and up the muddy slope of another mountain near Uberi. Ammunition also had to be carried, however by the time the gun was in position and ready to fire the Japanese had moved out of range. As the Australians fought their way back over the Track the medical post was progressively developed to cope with the huge number of growing casualties. These casualties were the result of battle and of the huge physical demands imposed by the terrain and the conditions on troops who were debilitated by inadequate food and by the tropical diseases with which all were inflicted. 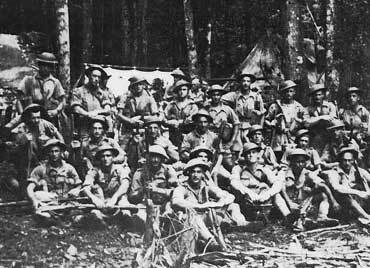 All troops who fought on the Kokoda Track passed through Uberi on the way to earn Battle Honours for their units.